Vashishth Guest House is located in the holy city of Rishikesh, and committed to offer you a comfortable stay in the spiritual city. Vashisht Guest House is running since 2008 by small hindu family. The Vashishth Guest House is located at the heart of the Rishikesh town, mountainside with close proximity to places of cultural and historical interest, adventurous water sports, Ram Jhula, restaurants and shopping area. 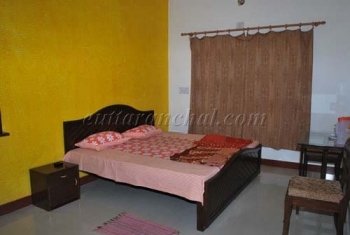 Vashishth Guest House 9 double bed rooms and all rooms are neat and clean, bright, quite with attached bathrooms, hot and cold water facility, TV with cable connection, Air condition and two rooms have attached kitchen also. Vashishth Guest House in Rishikesh is easily accessible, the nearest bus station is 5 Kms and Haridwar railways stations is 25 Kms. 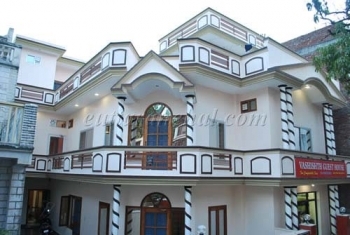 The nearest airport is Jolly Grant, Dehradun which is 20 Kms from Vashishth Guest House, Rishikesh.